The charming Hollersbach in the Salzburgian Pinzgau is the perfect starting point for a wonderful day of skiing and snowboarding in the Kitzbühel Alps. Look forward to 170 km of varied slopes on all difficulty levels, a cool snowpark and beautiful off-piste slopes. But sporting challenges await you also next to the slopes. Rent the proper equipment for your winter sports in the ski rental of INTERSPORT Rent in Hollersbach. A true paradise with varied slopes and rustic huts opens to tourists in Hollersbach. You can go from the base station in the center to the mountain station Resterkogel by panoramic cable car and you can even rock further to Kirchberg. Groomed slopes alternate with untouched deep snow slopes and the snow park Hanglalm inspires freeriders as well as numerous off-piste routes. 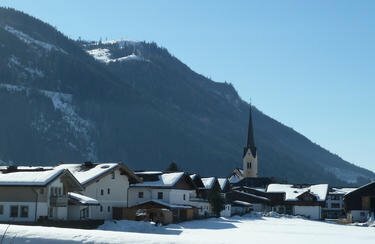 Enjoy a varied holiday in Hollersbach and rent skis or snowboards easy, convenient and cheap on-site. Pinzgau, with its 200 kilometers of network of cross-country trails, is a magnet for skiers. Set against a beautiful backdrop, you will find best groomed trails that are suitable for beginners and experts alike. Anybody who likes it a little more comfortable, should start to on one of the wonderful winter hiking trails - maybe even with snowshoes. The proper equipment for your activities off the slopes can be found in the ski rental of INTERSPORT Rent in Hollersbach. 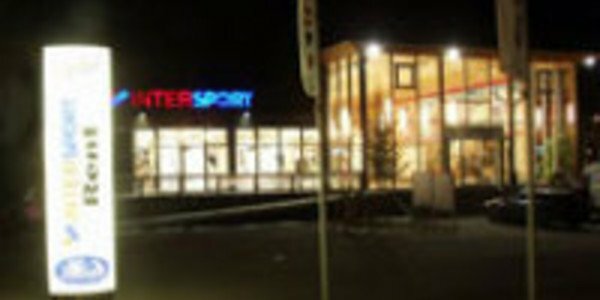 Ask the wingter sports experts at the ski rental of INTERSPORT Rent in Hollersbach for current offers and promotions. You will be amazed by the selection, the service and fair prices.